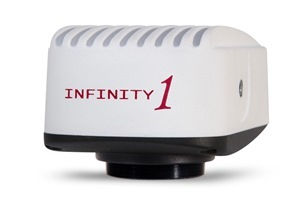 The INFINITY1-3 scientific CMOS camera provides extremely fine detail that was previously invisible to lower megapixel imaging systems with 2048x1536 resolution. Benefit from fast, smooth previews during sample manipulation with high frame rates of up to 80 frames per second. The INFINITY1-3 is available in color, as well as OEM form factors including board-level and custom enclosures.